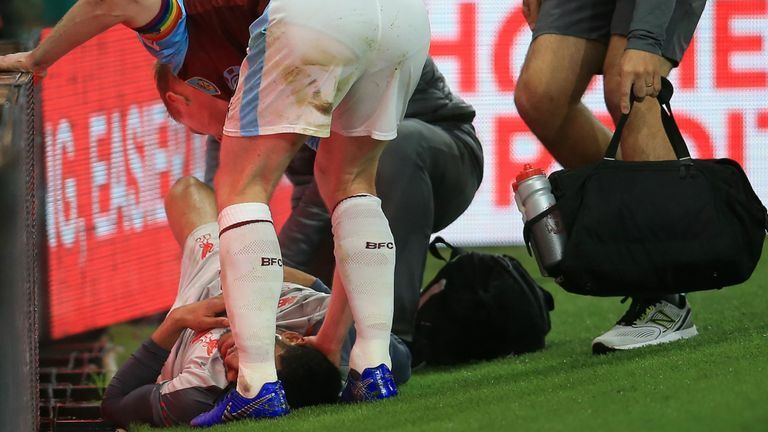 According to the latest reports, Liverpool centre-back Joe Gomez will face a minimum of six weeks on the sidelines after suffering a leg fracture against Burnley. Just yesterday, Liverpool broke their own record by having their best start to the Premier League campaign in the club’s illustrious history after beating Burnley 3-1 at Turf Moor. The Reds now have 39 points from 15 games and sit second in the table behind Manchester City, who are also unbeaten in England’s top flight along with Liverpool. 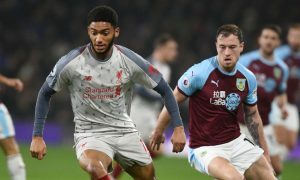 But the win over Burnley had a dark cloud looming over the visitors when England international Joe Gomez went down with an injury clutching his ankle. Only 23 minutes into the game Gomez was forced off the pitch following a tackle with Ben Mee. The young defender, who was utilized by Jurgen Klopp on the right-hand side of the pitch was then stretchered off the field and substituted by Trent Alexander Arnold. Gomez will be out of action for the remainder of 2018 after medical reports confirmed on Thursday that the 21-year-old suffered a leg fracture with treatment and rehab pending. The lower left leg seemed to be the major issue for Gomez but he faces six weeks out of action depending on how the treatment programs progress. Post the Burnley game, Liverpool boss Jurgen Klopp was asked about the assessment of the injury to Gomez but the German stated that he had to take proper medical tests to see ramify the seriousness. Now Klopp will have to keep the high level of intensity football without one of his best defenders in a misfortunate Joe Gomez, for over a month. There is no doubt that Gomez has taken his game to the next level this season and alongside Virgil Van Dijk, Liverpool’s defense looks quite impenetrable. However, if Liverpool are to keep pace with Manchester City at the top of the table and qualify for the Champions League Round Of 16, they need to find a suitable replacement for Gomez, who again, was outstanding at the start of this campaign.